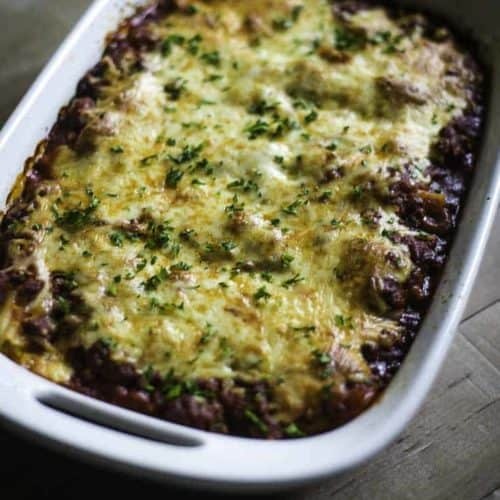 Home » Main Dish Recipes » Four Cheese Manicotti – a cheesy and meaty hearty pasta dish perfect anytime. Four Cheese Manicotti is a wonderful dish to make for company, or even to make ahead, and reheat for later. Cheese and meat fill large manicotti shells. Enjoy this classic Italian dish anytime. Some dishes just ooze comfort, and one of them is homemade four cheese manicotti. This recipe is perfect for a weekend, or a special dinner with family. What makes this recipe unique is a flavorful sauce that is slow cooked to perfection before this classic dish is baked in the oven. What makes a really good pasta dish? It is the sauce. This sauce will need to simmer slowly on the stove. While it does the flavors will marry, and you will have some of the best cheese manicotti you have ever tasted. This recipe is unique as addition to tomatoes, you will also add dry Sherry and vodka to the sauce. The sauce is so good you will want to make the sauce again and again. What makes this cheese manicotti so special is the variety of cheese in this dish. Parmesan, Mozzarella, Ricotta, and Italian Blend cheese all make a wonderfully balanced dish that is not to be forgotten. In addition to stuffing the shells full of cheese, you could swap out half of the Italian blend cheese for Fontina. You may also want to consider spicing up the sauce with a small touch of red pepper flakes if you like your sauce spicy. Want to make this ahead of time, and thaw out later? Simply make the manicotti, wrap the pan with plenty of foil and plastic wrap. When you are ready to heat it up, it will take about 1 hour at 350 degrees for you to enjoy. A cheesy and meaty hearty pasta dish perfect anytime. In large saucepan or stockpot, mix tomato puree, crushed tomatoes and tomato paste. Add chopped garlic, chopped onion, Italian seasoning, Tabasco Sauce, cooking sherry, vodka, and sea salt. Mix thoroughly. Allow sauce to cook for approximately 1 hour and then taste. If desired, add some or all of the sugar (sugar reduces the "tang" of the tomatoes). Continue cooking sauce on low heat for several more hours (ideally and for a richer blend of the seasonings, sauce should be refrigerated overnight and cooked for an additional 2-3 hours the following day for optimal flavor). Thoroughly cook ground beef and drain (rinse with water if necessary to remove all grease). Return to pan and season with a few shakes each of salt, pepper, garlic and onion powder, and cook for an additional 10 minutes. Remove and add meat to sauce. Cook pasta according to the package directions, drain and allow to cool, separately, on wax paper. In a separate mixing bowl, blend Ricotta cheese, egg, grated parmesan and the shredded Italian cheese blend until thoroughly mixed. Using the butter knife, begin to stuff the manicotti shells with cheese mixture until all is used. 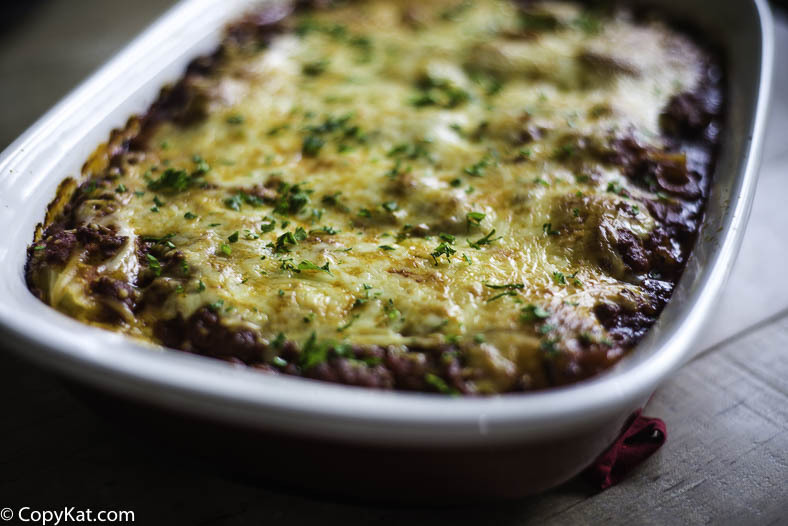 In a large baking pan (a lasagna pan is best), spread a layer of sauce that completely covers the bottom of the pan. Align the stuffed manicotti shells in the pan atop the sauce. Use remaining sauce to completely cover the pasta. Use as much or as little as desired of the mozzarella shredded cheese to cover. Bake in a 350-degree oven until cheese bubbles and begins to turn a golden brown. Remove, cool, and serve. Recipe looks yummy! Picture it looks burnt! It looks perfect. Does not look burnt. Refrigerate the stuffing for an hour or so.Then roll a handful like a log and insert.Easy peasy!! First time making it and it was delicious. The only thing I did differently is NO SALT and brown sugar instead of white. I will make it again! 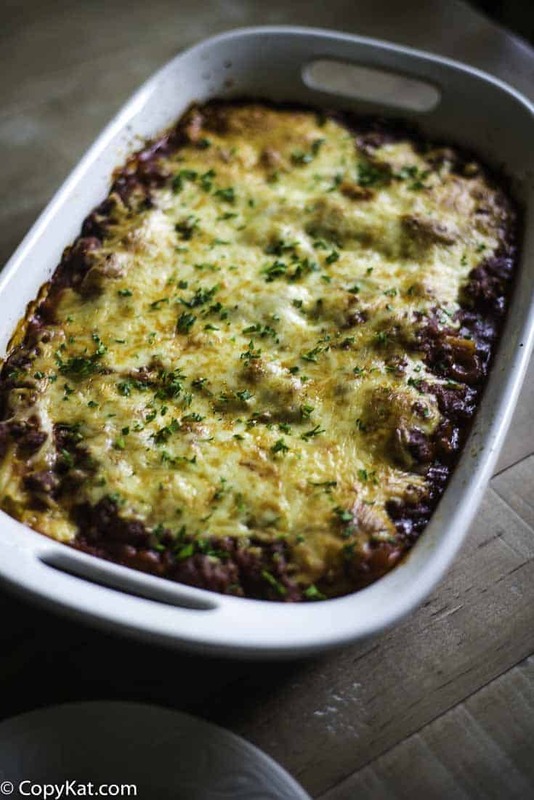 I have made this several time for my picky family and they all love it.I can’t wait to try this recipe, but with ricotta instead of cottage cheese. Sadia, that is a huge vote for confidence for this recipe then! The salt makes this recipe inedible. My wife made it at first, hesitated at the salt but then added it because the recipe says so. It was so salty, the sauce had to be thrown out. Remade the recipe without the salt, and the sauce was perfect. An easy hint for filling the Manicotti: put the filling in a gallon zip-loc bag, cut a corner, and squeeze it in. No mess, no fuss, simple to do. I have used a parchment cake decorating bag and open end tube to fill mine. Works great!!!! That’s a great idea, I will try that when I make this the next time. I often feel I should use my cake decorating supplies more often. I once HATED filling shells. Love the result, but not the work. Finally, an Italian friend of mine told me I was going about it the wrong way. His grandmother taught him to cut one side of the manicotti, stuff them, then place them seam side down in the baking pan. No one was ever the wiser. It makes Manicotti MUCH easier! Can I just say, this is the best tip I have ever had! I heard about this ‘trick’ years ago, and decided to give it a try. As the manicotti were cooking in the sauce, the seam didn’t stay closed all the way. The cheese seeped out into the sauce, and the dish was completely ruined! The worst part was that I was making it for company. I was devastated & embarrassed, especially since I’m an experienced cook, but this dish made me look as though I was clueless in the kitchen. Sometimes, there’s no easy trick to making a dish. As an Italian cook, I’ve stuffed many a pasta over the years, and I found that ‘piping in’ the cheese mixture into Manicotti works best. BTW, when stuffing shells, I just use a spoon. I agree. I wouldn’t cut these unless you want an epic fall apart failure when you try to get them out of the pan after cooking. Actually, they don’t fall apart 😉 I have done this a few times. In cooking the cheese sets up a bit, and it works well.